North Atlantic Specialty Bag is a division of Diversified Packaging Concepts inc. which came into existence in October of 1993 in Narvon, Pa. We started in a small 400 square foot office and have grown between 2 facilities to occupy almost 40,000 square feet of warehouse, manufacturing and office space. Our main focus has been and will always be to give the same attention to detail to all our customers big and small. Whether you use 1 case of packaging materials per month or 100, we work on making sure you are met with the same commitment to excellence. While the variety of markets we serve is continually growing, the coffee and tea industry is still our largest market. This industry is primarily made up of small to medium-sized companies. We try to cater to those companies by carrying a large selection of products to fit most of or in some case’s all of their packaging needs. Wholesale coffee bags are just some of the ways we accommodate this growing market. 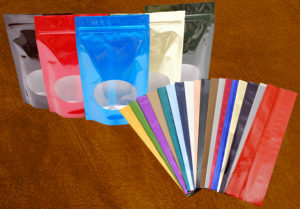 North Atlantic Specialty Bag also strives to continually increase the variety of products we offer to better give our customers new innovative ideas to use in their own custom product packaging. We provide a full line of stock and custom printed products at very competitive prices. We are always open to new ideas and welcome suggestions to help us better perform for you! Great things in business are never done by one person they are done by a team of people.